Of memories I have of family members, the one about my Uncle Sam’s arrest on April 19, 1944, and his imprisonment, which became legendary in our community, left an indelible mark. Uncle Sam was born in the U.S. and was 18 months old when the family moved to Duchess [Alta.]. 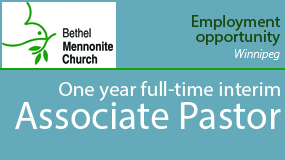 He had been baptized into the Mennonite Church and attended regularly. 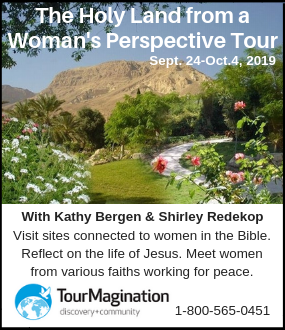 The Mennonite Church in Duchess had taken a strong stand against military involvement in the early part of World War II, and getting deferrals as conscientious objectors (COs) had not been difficult for its members. My father, who was 26 at the beginning of the war, was drafted by both countries. 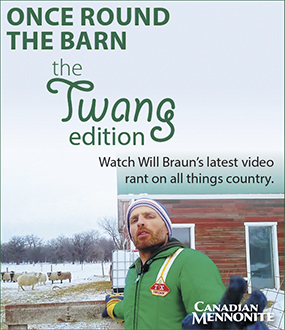 His appearance before Canadian authorities was limited to an interrogation with an army official and his request for exemption was granted on two counts: his religious convictions as a CO and his occupation as a farmer on his own property. A few months later, he received a letter of inquiry from the U.S. and was granted a similar exemption. Uncle Jim, two years younger than Uncle Sam, was granted CO status and served two years in alternative service in a government-sponsored logging camp. Uncle Sam’s turn to state his case came when he was 21. At first, it seemed that Sam’s problems in claiming an exemption arose from a series of inadvertent events. It was thought that the judges and officers reviewing his case wanted to make an example of Sam to others who thought military conscription could be easily avoided. 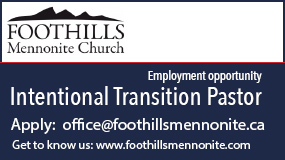 Other Mennonites had enlisted under pressure, after all. Another factor leading to the judges’ refusal of deferment was that Sam had recently decided to leave farming to work as a mechanic in Fred’s auto shop. On Dec. 28, 1942, Sam received a call to report for military training. He responded by applying for military exemption as a CO, following the path his other brothers had taken. In late February, he appeared before the Military Mobilization Board in Edmonton. During an interview with the judge, he stated he attended church regularly and had no prior arrest except for a speeding ticket. His request for exemption was rejected; he was offered alternative service with Canada’ merchant navy, which he refused. He was given a one-year postponement, a delay in military prosecution. Sam’s refusal to accept induction resulted in trials and imprisonment that lasted over the next 18 months. On April 19, 1944, he was arrested again by the RCMP for failing to report for induction into the army, handcuffed and led across the familiar streets of Brooks to the train station where RCMP officers escorted him to Calgary. He remained shackled during the train ride, and, after arrival at the RCMP barracks, he was photographed, fingerprinted and body-searched. A few days later, the RCMP transported him by train in a cohort of 30 prisoners to the provincial jail in Lethbridge, Alta. On arrival, his head was shaved, treatment for lice administered, prison clothes assigned and a 30-day jail term began. During the spring of 1944, Sam was permitted to spend time outside in the Alberta sunshine doing farm work. Grandpa Martin and Uncle Clarence (Ramer), by then a well-known Mennonite minister, importuned the Mobilization Board in Edmonton to secure his release. They were joined by the Conference of Historic Peace Churches in Kitchener, Ont., in raising concerns about the proceedings. But the authorities refused any further consideration of Sam’s sentence. On May 13, 1944, with four days off his 30-day sentence for good behaviour, he was handed over to the military police and taken back to the Mewata Armory in Calgary to be inducted into the army. Uncle Sam was subjected to physical examinations and intelligence tests, and the favourable results led to a recommendation of appointment as a junior officer. A uniform was issued, and he was ordered to appear at installation ceremonies. Again, Sam refused. So, on May 24, he was charged with disobeying a lawful command and given a second sentence of 28 days in a military prison, where he was placed into confinement with soldiers found guilty of desertion and disobedience. The treatment Uncle Sam received at Currie Barracks, a military outpost in Calgary, was denigrating and cruel. After persistent refusal to wear a military uniform, Uncle Sam was stripped, given only underwear and placed in a small cell. To emphasize the army’s view of the seriousness of his failure to enlist, the four-week sentence included a severe curtailment in diet, with two days of bread and water followed by two days of a normal diet. In another appearance, Uncle Sam refused to take up the mantle of military service. With his continued refusal to don a military uniform, the army issued a third sentence of 28 days, this time with 21 days of bread and water and solitary confinement, where from 10 p.m. to 6 a.m. he was given three blankets to use while sleeping on a hard shelf. He was allowed no visitors. 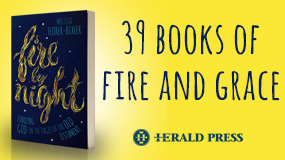 One day, near the end of his period of isolation, a guard appeared and threw 45 letters on the floor with the injunction, “You have 15 minutes to read them.” But the guard did not return right away, and he was able to read all of them. The demonstrations of love and support contained in the letters rallied Uncle Sam’s spirit. During the last week of the 21-day imposed fast of bread and water, he was finally given access to a normal diet again. The family and church leaders were devastated. Sam sought assistance from the U.S. government since he had been born and remained a U.S. citizen. An officer granted him an informal hearing, but judged his health too precarious to be moved to the U.S. The appeals sought by family and church leaders had included the request for consideration of alternative service, as long as it was under civilian and not military management. But Sam’s appeal was denied, seemingly because other Mennonites of German-Russian origin had been willing to serve in the medical corps. A petition objecting to Sam’s treatment was signed by 140 Duchess community members, who, although they did not share pacifist beliefs, felt his treatment uncivil and unfair. Two non-Mennonite ministers helped collect the names on the petition, which Uncle Clarence delivered to the commanding officer. Later that summer, Uncle Sam was summoned to a hearing regarding a court-martial. Despite testimonial support from Uncle Clarence about Sam’s character and sincerity, the military prosecutor recommended an additional sentence of 90 days at Currie Barracks. His fifth sentence was again in solitary confinement with a diet of bread and water. Returning to his cell, he discovered that a uniform had been delivered to him. He looked at it for a while; the temptation was strong. What was the fight about anyway? Why had he been singled out for humiliation from the thousands of Mennonites, Doukhobors, Jehovah’s Witnesses, Quakers and other COs? How much longer could he bear it? Before he was transferred back to Lethbridge, a doctor examined Sam and concluded that the authorities needed to do something about him. His health had become precarious. He had lived on bread and water for 49 days over the previous three months. My father remembered him as a skeleton. 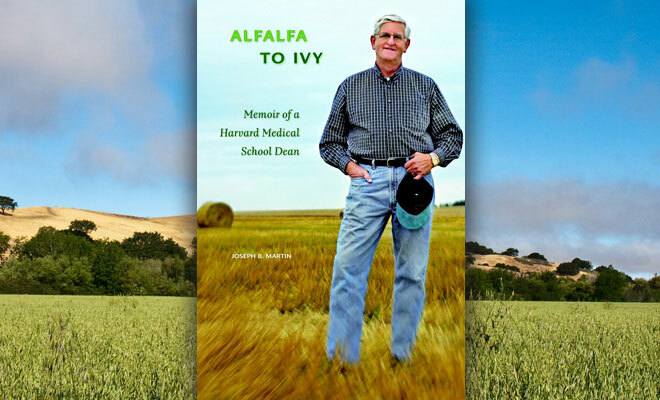 Excerpted from Alfalfa to Ivy: Memoir of a Harvard Medical School Dean by Joseph B. Martin. Published by The University of Alberta Press, 2011. 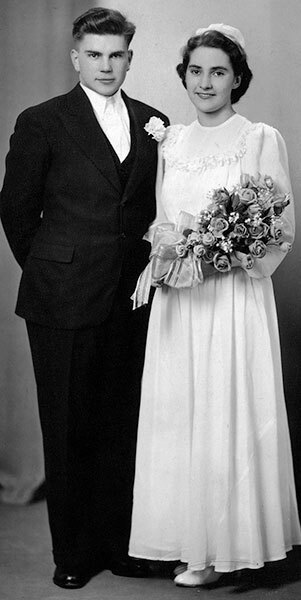 Sam and Beulah Martin on their wedding day.